Knock Knock Baby: A Promo for US Kids - Why I think it's something every person (who is struggling to have kids) should think about! A Promo for US Kids - Why I think it's something every person (who is struggling to have kids) should think about! In this post, I've done my best to show you why foster parenting can be a really great thing. Even if you don't ever decide to foster a child, I wanted all "potential parents" to have this information. There are a few benefits to fostering that many people may have never considered. The first benefit I want to mention (just because I think a lot of people don't know this is true) is that it can cost you little to NO money to adopt a foster child. Whereas a "standard" adoption can cost from $15,000 to $50,000! Taking care of a foster child will cost you less money than taking care of your OWN biological kids, because the state pays for the majority of the child's expenses. I hate to put this as the first thing on this blog post because the money shouldn't matter, but I was worried that if I didn't put it first, some people would click right OFF this page because they thought it would be too expensive or thought they couldn't afford it. Many people don't realize how it all works (I didn't), so I wanted to share this information with others. You can see a video by some foster parents if you scroll down the page (it's the very last video at the bottom) that will explain a bit about how it works. There are a lot of myths about Foster Care... you see many of them "debunked" by clicking HERE. When I got pregnant at age 43, it was shortly after I'd watched several videos by the Adoption organization Adopt US Kids. I'd never heard of them until I had seen this commercial on TV (below), and then ended up watching a ton of tear-jerking videos on their site. I was so moved by the videos, it really made me want to become a foster parent! Although I was never adopted, I do have a few friends that were adopted (and they are great people). I also relate to some of these kids who keep getting shuffled around and are very frustrated because they can't seem to find a permanent home (more about this later). My mother was a social worker, and she was always asking me if I had any friends that might be interested in fostering. She said there are never enough foster families to provide good homes for all the kids that need them! One of my coworkers from a job I had when I lived back home, ended up becoming a foster parent. He wasn't perfect (who IS?? ), but the key was, he had a BIG HEART. It's funny... when I worked with him, he always appeared a little lonely and sad, but when I talked to him after he became a foster parent (this was years after I moved out of state) he seemed a lot more cheerful. He ended up fostering several children and my Mom told me he was one of the best foster parents they'd ever had. After watching the videos on the Adopt US Kids site, I was SO SURE this was the route I was going to go down... to the point that when I actually did end up getting pregnant, I yelled "NO F---ING WAY!!!" I almost felt as if it was throwing off my new plan! It was just like John Lennon said: "Life is what happens to you when you're busy making other plans." Did you know that John Lennon, Steve Jobs, Bill Clinton, Faith Hill, Richard Burton, Nelson Mandela, Marilyn Monroe, Edgar Allen Poe, Director Michael Bay, Sarah McClachlan, Melissa Gilbert, Jamie Foxx, Eleanor Roosevelt, Jesse Jackson, Eartha Kitt and Babe Ruth were all adopted? (there are MANY MORE adopted celebrities but that's just a handful). I realize most of them were adopted at a young age, but I'm just saying.... providing a nurturing and supportive home for a child can have a huge impact on a child. They may not become a movie star, famous songwriter, or the president of the United States, but you could really make a difference in their life. You can see a list of even more adopted celebrities, by clicking HERE. (and even this will just be a partial list). We've all heard that there are many cases where a couple decides to adopt a child and then suddenly the woman gets pregnant, because she is no longer freaking out about her fertility. Well I can't help thinking that was part of the reason I finally got pregnant. I didn't actually adopt a child, but I had decided that adoption could be a really good option for me, and that enabled me to stop freaking out about trying to have a baby just because my clock was ticking. Great things in life aren't supposed to happen in a really stressed out way. 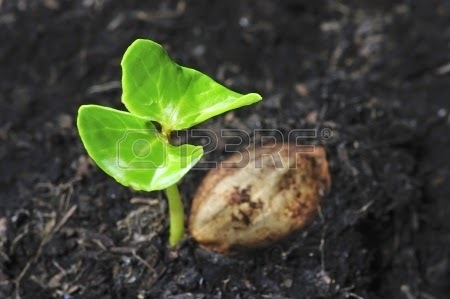 Seedlings don't strain to grow. The sun doesn't strain to rise and set. And we women aren't supposed to freak out and stress out and strain to have babies! At the time I got pregnant, I had decided that my quest to get pregnant was really interfering with my life. I decided I wanted to train for a marathon (I'd put it off for years because I was worried it would negatively affect my fertility). I decided not to worry about it so much anymore, and if it happened, it happened. And then BAM... as soon as I started worrying so much about things... I got pregnant! It's true, I was still doing a good amount of things to increase my fertility, but I knew that by going running I could screw it all up (and I did it anyway!). Have you ever tried really hard to get a man to like you or pay attention to you, and it just DIDN'T WORK? I can't help thinking it's because there is a Great Power up there going, there's something wrong with this picture. She's doing that for the wrong reasons. She needs to feel confident in herself, and love herself FIRST, and stop worrying about what a man thinks of her! Whenever I tried too hard to get someone to like me, it had way too much to do with my ego, and it wasn't about me loving someone for the right reasons. When I was trying to get pregnant, looking back at it, it seems like I was trying to do that for the wrong reasons, too. It had a lot to do with me just trying to see if I COULD get pregnant. I didn't want to be one of those women who couldn't, or who would be forever labeled as infertile or barren or incapable. I didn't want to be the only single parent out of all my friends who seemed to be getting pregnant left and right! How come they were able to have babies (seemingly at the drop of a hat) and I couldn't??? You could say I had something to prove. When I finally got pregnant (shortly after I'd decided I really wanted to foster a child) I couldn't help feeling like The Universe was finally saying, OK you've passed the test. It's obvious you wanted to have kids for the right reasons, because it wasn't "all about you"... you really did want to provide a loving home for a child, including a foster child, and try to make the world a better place because of it. I'm not saying this is for sure what happened, but that's certainly what it felt like. Obviously, if God or the Universe put this test on everyone, then there would be no parents out there who would be having their children taken away. But I still can't help there was a higher spirit involved in me getting pregnant, and somehow there were some spiritual reasons behind it. Sadly, I did have a miscarriage which I will always believe was the result of taking a mega dose of Vitamin C (you can read about that in one of my other posts listed to the right), but I also think it was because I just had too much stress in my life. Babies have been one of the last things on my mind recently (I've got a lot of stuff going on), despite the fact that my clock is ticking VERY loudly (I'm 46). I revisited the Adopt US Kids website last night and was bawling all over again. There are sooo many kids that want to be adopted and just want a permanent home!!! I think that couples who have been struggling to conceive will have a slight advantage over other parents, because they know what it's like to not have things come easily. If you have been frustrated by your own infertility, you know how frustrating it is to see all the people around you having babies, babies and more babies, while you still don't have a kid of your own. You know pain, and you know heartache. And you also know what it's like to go through this private hell while trying to put on a happy face and pretend nothing is wrong. So there is a part of you that will probably have some real empathy for a child who feels unlucky, frustrated, and different from all their peers (but has to keep trying to put on the happy face). These kids must spend a lot of time wondering, "Why me?" "Why can't I just have a normal life like everyone else?" 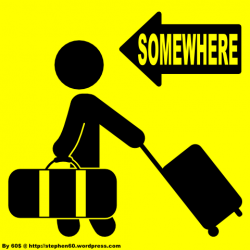 Why I can relate to Foster Children: I know how frustrating it is to not have a permanent "home" when you really want to stay in one place. I was raised by a single mother, and there were many summers where she would send me and my sisters to live with my grandparents. I loved my grandparents, but didn't feel comfortable there because it wasn't my home. They were very strict and I often felt like I just couldn't relax. I knew they loved me, but... it was no comparison to being at home. Like Dorothy said in the Wizard of Oz: There's no place like home. There is nothing like feeling like you're in a place you're familiar and comfortable with, and you can just relax and not be constantly worried that you're about to do something wrong! From the years 1998 to the present, I have had way too many temp jobs. Partially because I like having the time and the freedom to write. I never wanted to work in a corporate environment, permanently. And yet, it was hard not to want to have the health benefits and 401k plan, etc., that come along with being hired as a full time employee. Well, there were many, many times where I would be at a temp job, filling in for someone on maternity leave, and I would get really used to the place, and end up loving it, and want to work there, permanently... but couldn't. Once the woman came back from maternity leave, I was out of a job... I had to pack up my stuff and move on to the next job. I knew from the getgo, there was a chance that maybe the woman I'd be filling in for would decide to become a stay at home mom, and not return (temp agents sometimes tell you this, to make the assignment sound better). But it never happened. They always came back, and I was always having to find a new job. And... it... sucked. It was like, DAMN. Just when I was totally getting used to the place and it started to feel like home... I have to move!!?? It didn't help matters that I only wanted to be a receptionist, and didn't have a college degree, so there weren't a lot of other places in the company where they could put me. One day I had this revelation that, Omg, this must be what it feels like to be a foster child (only it must be way worse for the foster child). It was then that I thought, I really want to be a foster parent one day. So although I am still doing what I can to hang on to my fertility, I know that I may never end up having a baby on my own (biologically). It just may not be in the cards for me. Yes I want a baby, but I don't want one so badly that I would actually go through fertility treatments. Honestly, I would rather adopt a foster child. And even if I ever do get pregnant, I would still like to try to adopt a foster child one day. Although I have never fostered a child, I have fostered many cats, and can tell you it is an extremely rewarding experience that is worth all the effort you have to put into it. Whether you're fostering people or pets... the love you feel in your heart will be greater when you know you are making a big difference in the life of another being. I have a few adopted cats that were once feral, and I have to tell you... the one that was the most feral (and therefore least likely to be adopted into a "regular family") is my favorite. By just giving him food and shelter, being really sweet to him on a daily basis (and knowing when to give him his space), he went from being constantly fearful and insecure and afraid, to being incredibly sweet and gentle and appreciative of all the love and attention that I give him. I've had him nearly 10 years, but when I feed him, he still sometimes looks up at me like, "Are you sure it's ok for me to eat this? Is this food really for me?" I've had several cats in my lifetime, but watching him eat his dinner gives my heart an incredible surge, like nothing I've ever experienced with another cat, it's because I know I have truly made a difference in his life. He doesn't have that sense of "entitlement" that my other cats seem to have! (I'm not saying cats or children AREN'T entitled to have a good life, but... you're probably less likely to see "entitlement issues" in a foster child, than a biological one). He taught me to be a better individual. I am a better "pet guardian" than I ever was. He (and my other feral cats) have taught me an incredible amount of patience. I've learned when to give him attention and when to let him be alone. I know that I am a better person because I took him in and gave him a good home where he can always feel safe and secure. I am always aware that if I didn't step in and help him, he would still be flea ridden, hungry, cold, afraid, injured from other cats or dogs, and could have easily contracted a number of cat diseases like FIV, FIP, or FELV. He could have been hit by a car or swallowed rat poison from someone's property while scrounging for food. 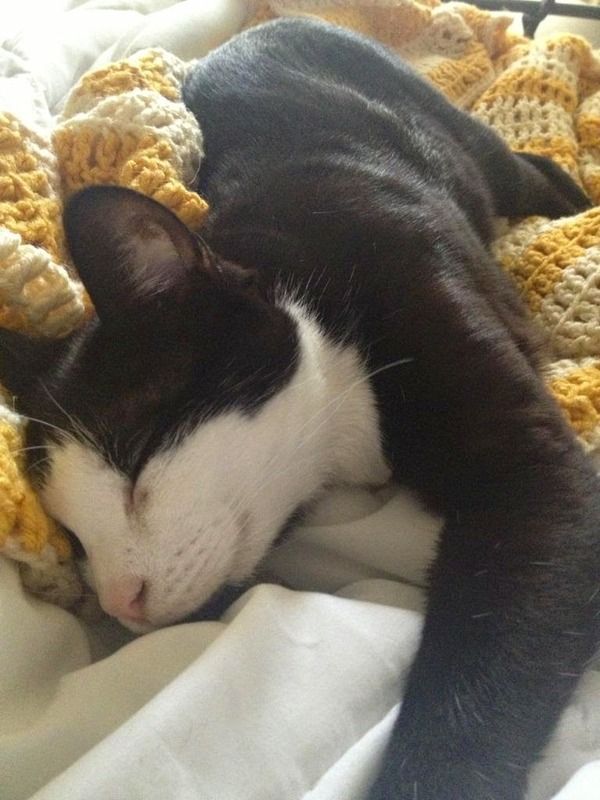 Giving him a good home actually increased my confidence and feelings of self worth, in a way that I never experienced with other (non-feral) cats (and I have had many, from childhood through adulthood). You always have this sense that you're pretty damn awesome for making such a big difference in "someone's" (even "just a kitty's") life. Even just thinking about it, right now, makes my heart feel big. So imagine how good you'd feel if you were providing a better life for a CHILD! Like I said earlier.... there just aren't enough good foster families to go around. 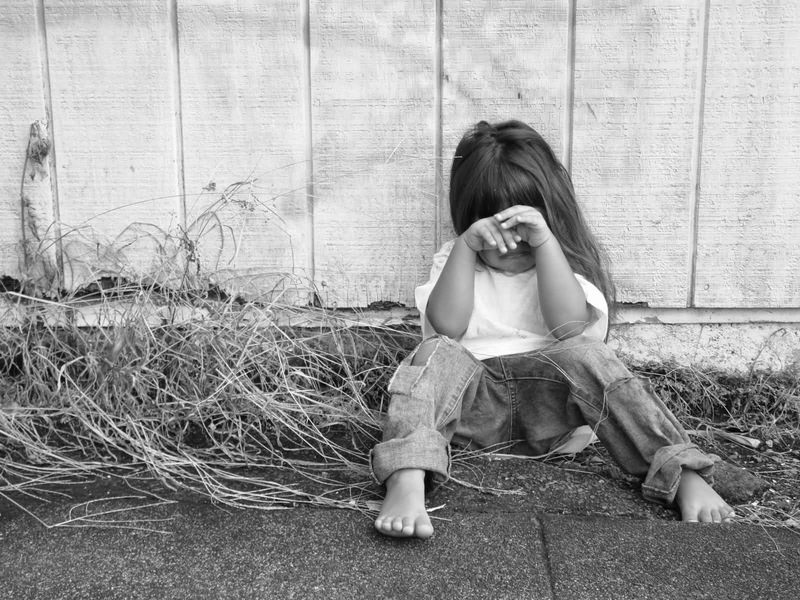 You can see some of the sad statistics about the current state of the Foster Care system by clicking HERE. Here are a few commercials (below) from the Adopt US kids website. Overall I think these commercials are good, because I'm sure they recruit a lot of good people and families who may have been afraid to foster because they just didn't know about it or think they were good enough. I'm really grateful these commercials were made, because if they weren't, I'd have never looked up that site. But I also want to comment that every child deserves a good home. 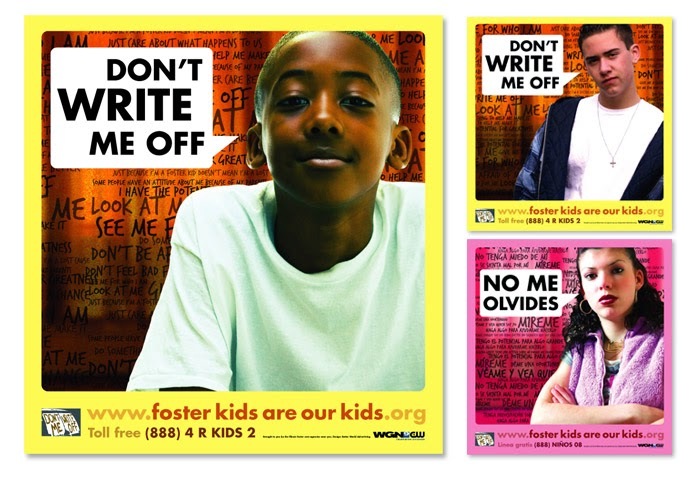 Sometimes I wonder if foster kids watch these commercials and feel offended because they think, why are they trying to stick me with these wacky people? But if you're a foster child reading this for whatever reason, I can tell you this much. Pretty much every parent out there is a little wacky. The single ones are wacky too. The rich ones are wacky, and often have children who have very little appreciation for all they have. I grew up in a pretty poor, dysfunctional, chatotic (but loving) family. THE most important gift you can get from a parent is love. If for any reason you don't get enough of it, it's because they don't have enough love for themselves, and you shouldn't ever take that personally. You need to learn how to love yourself first because just like the song, that really is the greatest love of all. And one day you will have the ability to give as much love, to a child, as you want! (You can find many more adoption success stories if you just go check out YouTube). Can you imagine how nice it would be, if even 1/10th of the people out there, who were trying desperately to have a baby, could just take a break for a couple of years, and commit to adopting a teenager for a couple of years and say, for the next two or three years we are just going to SHOWER this kid with as much love and attention and support as we could possibly give them! -It's just a couple of years (though if you have a great relationship with them, you will probably have their love for a lifetime). I truly believe that you could greatly improve your chances of conception if you spend the next two years taking great care of your body, taking CoEnzyme Q10 and Astragalus (see my post: "An Easy way to improve the quality of your eggs".. listed to the right... or just look up Astragaus and "telomeres" if you don't believe me). Also by adding regular exercise, PEMF (see post to the right), Vitamin D (again... see post to right), drinking plenty of water, and stopping the fertility drugs... I really do believe your body will be in BETTER baby-making shape than it is now... EVEN if you are in your 40's!! (this may be just my opinion but I can tell you I've been feeling SUPER FERTILE at age 46, and these are pretty much the only "fertility" things I'm doing). -It could get you to stop obsessing so much about your biological clock, and focus on what's really important: Loving a child and providing them a solid, nurturing environment so they can become a good, productive member of society. -Watch the videos below, about "Aging out" - and you will see, the experience of being adopted at an "old age" is PRICELESS for a child. -If you feel anything like I do, when I take care of my feral cats, your heart will feel BIG (not empty because you don't have a child). And this could probably help you get pregnant if that's still what you want! I'm not saying teenagers are easy (trust me, I know... my stepdaughter is a teen), but it would be a great preparation for what it would be like to have another teenager one day (it could make having your own biological child seem like a cakewalk). And a child adopted through the foster care system will probably have more appreciation for your support (whether they show it or not), than a biological child could ever possibly feel. I know that if I ever adopt a teenager, I'm going to make sure to NOT expect it to be a piece of cake, or easy (I think a lot of foster parents probably fail and can't handle it because they expect the child to show appreciation and gratitude and love when this poor kid who does NOT want to be in the foster system whatsoever... I know I sure wouldn't!!!). It's probably best to never expect the child to be grateful, happy, laugh a lot, etc.. (they probably WILL, on occasion, but expecting it will only set you up for frustration and failure). I'm going to expect them to be miserable, brooding, uncomfortable, etc. etc.,... but hang on to the hope that if I just SHOWER them with love and support, every chance I could possibly get, for those few years that I do have them... then I will have done a good thing for the kid (or kids) and it will all be worth it. Any small sense of love or appreciation that I might get back, will just be gravy. Watch the videos below and you will see, there are sooo many kids who need a good home, and they LONG to be adopted so that they can just have that validation that someone cared enough about them to go through the legal process. They say it can just take ONE person to make a huge, life changing impact on a child's life. You could be that person! And here is that video about what it's like to train to become a Foster Parent. 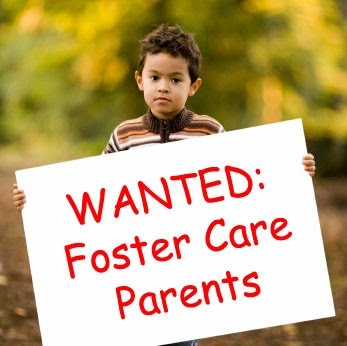 If you're interested in learning more about becoming a foster parent, please CLICK HERE TO GO TO THE ADOPTUSKIDS SITE. Thanks for taking the time to read this. Even if you end up conceiving naturally or adopting a child through regular adoption (or just plain decide to remain "child free"), I think it's important to get the word out.